Wednesdays and Thursdays from 11:00-11:30. It's always craft time at Unpluggits, but every Wednesday and Thursday we do something extra special for our youngest customers. Each week we will read a fun book and then create something related to the story. We have a great time exploring seasonal themes. It's free with admission or craft purchase. We don't have story time during spring and winter school breaks so check our calendar before you head out. One hour workshops building our projects our of clay. 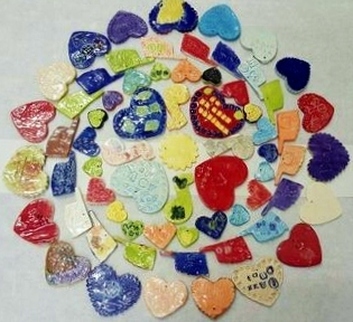 Projects vary (examples: turtles, snakes, coil pots, flowers and ornaments, leaf bowls). Come back in about a week to paint your pieces at a time convenient for you. Then leave it with us for the final fire. Ages 4 and up. Younger can attend with an adult. Check our calendar for specific dates and times. Payment is required with registration ($25). Call (405)340-7584 to register. Attention: SCOUTS - We can teach you all the requirements (slab, coil, pinch) for your badge. Just call us to schedule a time for your troop and we'll do the rest. A little time set aside for grown-ups to paint without the little guys needing your attention. We stay on for a few hours to paint after the playground is closed. Bring your friends or make new ones. Bring your wine (21 and up only) and snacks. Check our calendar for the next grown-ups night or schedule your own. 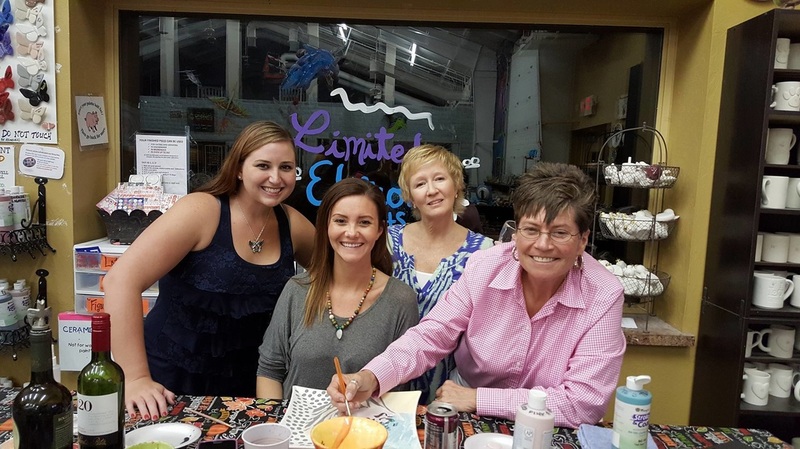 You can paint after hours with your group with a minimum $150 combined purchases. Owned and Operated by a Local Edmond Mom. Content Copyright 2008-2018. All rights reserved. Unpluggits LLC, dba UNPLUGGITS Paint & Play.